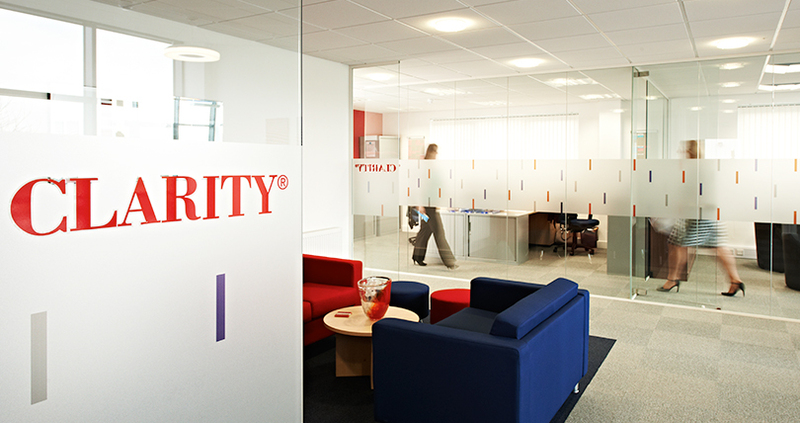 Clarity Copiers Limited “Clarity” was established in Devon in 1977 by Leo T Whittington as Managing Director and John Eldridge as Service Director with both positions still held. The Company currently has annual sales in excess of £20 million. The ability to supply and service world brand leading multifunctional printing devices at competitive prices backed up by an efficient admin, sales and service team, dedicated to customer satisfaction, is the foundation of our success. Our Head Office has been located in Newton Abbot since 1979, with all members of our team living in Devon. Currently, from locations in Newton Abbot, Barnstaple and Plymouth, we supply 3,500 customers in Devon. Nationally, we supply a further 20,000 customers via various Clarity locations covering the UK. We believe we were the first copier supplier in Devon to be certified to the Quality Standard BS5750 in June 1993 for both sales and service, having subsequently been updated to the international BS EN ISO9001:2008 Quality Standard. Therefore, the high standards we set and achieve are independently monitored by the accreditation body. This means, amongst other things, that if we say we will attend a service call, on average, within 3 normal working hours that it does actually happen. We do what we say we will do and have fulfilled this promise for over 38 years.